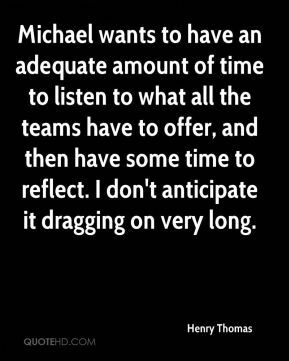 Michael wants to have an adequate amount of time to listen to what all the teams have to offer, and then have some time to reflect. I don't anticipate it dragging on very long. He has the freedom to do what he wants. He really can get in the lane, so we're going to try and limit his penetration. Sometimes it seems the harder you try to hold on to something or someone the more it wants to get away. You feel like some kind of criminal for having felt, for having wanted. 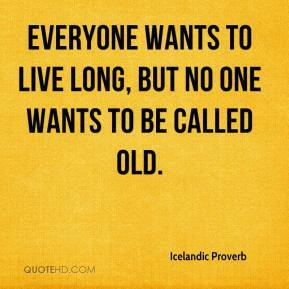 For having wanted to be wanted. It confuses you, because you think that your feelings were wrong, and it makes you feel so small because it's so hard to keep it inside when you let it out and it doesn't come back. You're left so alone that you can't explain. 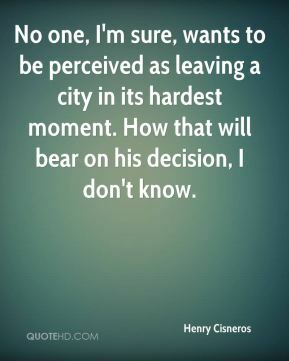 No one, I'm sure, wants to be perceived as leaving a city in its hardest moment. How that will bear on his decision, I don't know. A lot of people come to see me fail. They want to downgrade me or underrate me. 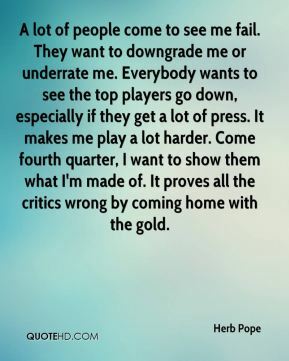 Everybody wants to see the top players go down, especially if they get a lot of press. It makes me play a lot harder. Come fourth quarter, I want to show them what I'm made of. It proves all the critics wrong by coming home with the gold. A lot of people come to see me fail. Everyone wants to see the top players go down. 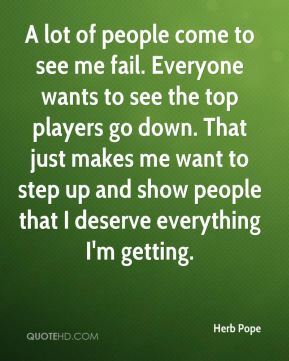 That just makes me want to step up and show people that I deserve everything I'm getting. He wants to come forward and acknowledge what he's done. We don't have an excuse. We don't have a denial. We're willing to 'fess up. He just wants to make sure he's going to be OK, and I can understand that. That's something you don't deal with lightly. I anticipate he'll be back. 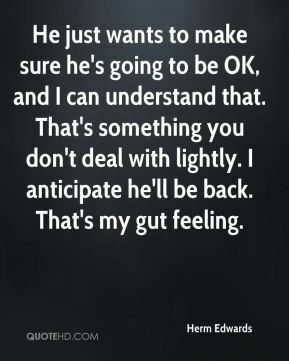 That's my gut feeling. This is Cuban baseball. Cuba is not gone. 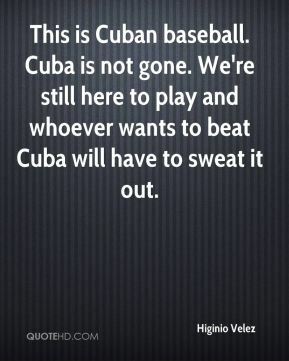 We're still here to play and whoever wants to beat Cuba will have to sweat it out. Some people say our athletes are isolated and besieged. 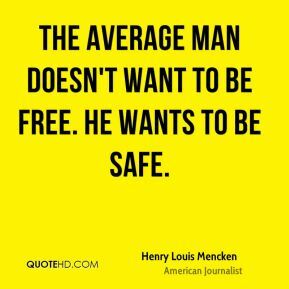 Whoever wants to go into exile can just walk away or stand next to a policeman. Our players are not prisoners. Simply, our athletes are besieged because people want to turn them into merchandise. But they want to play for their country. 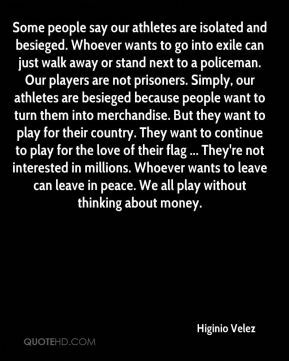 They want to continue to play for the love of their flag ... They're not interested in millions. 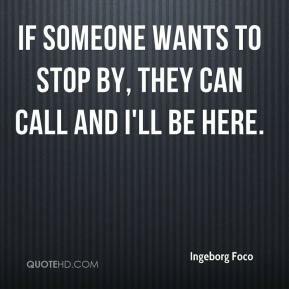 Whoever wants to leave can leave in peace. We all play without thinking about money. 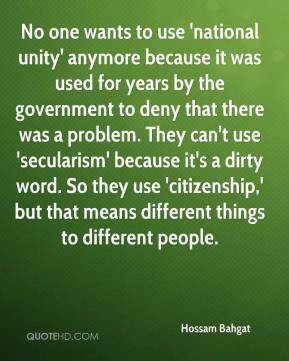 No one wants to use 'national unity' anymore because it was used for years by the government to deny that there was a problem. They can't use 'secularism' because it's a dirty word. So they use 'citizenship,' but that means different things to different people. 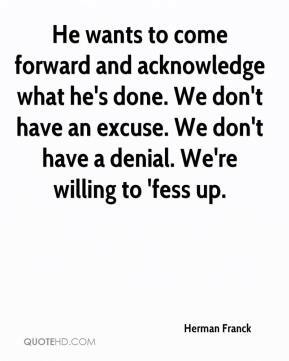 At this point, we're talking to everybody who wants to talk and we're trying to ascertain who is serious and who is not. 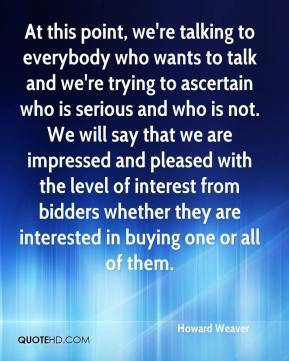 We will say that we are impressed and pleased with the level of interest from bidders whether they are interested in buying one or all of them. 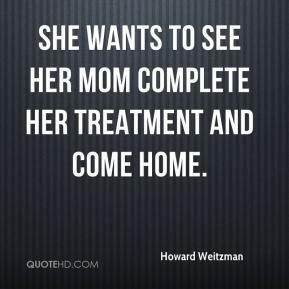 She wants to see her mom complete her treatment and come home. We've had, knock on wood, over 12 singles. 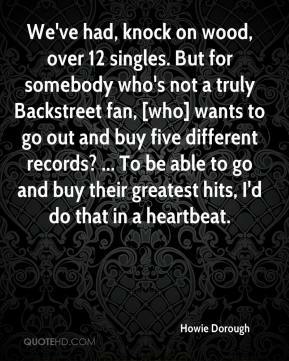 But for somebody who's not a truly Backstreet fan, [who] wants to go out and buy five different records? ... To be able to go and buy their greatest hits, I'd do that in a heartbeat. 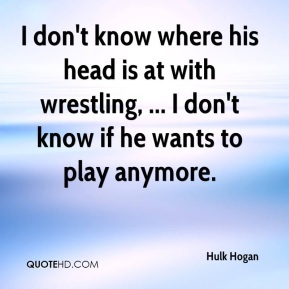 I don't know where his head is at with wrestling, ... I don't know if he wants to play anymore. 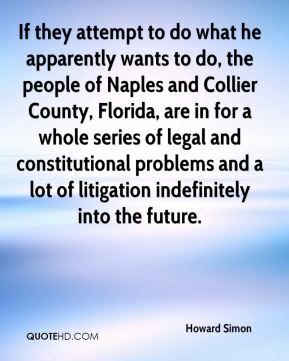 If they attempt to do what he apparently wants to do, the people of Naples and Collier County, Florida, are in for a whole series of legal and constitutional problems and a lot of litigation indefinitely into the future. 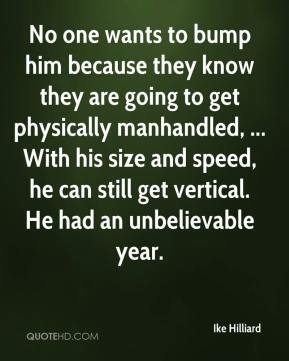 No one wants to bump him because they know they are going to get physically manhandled, ... With his size and speed, he can still get vertical. He had an unbelievable year. If someone wants to stop by, they can call and I'll be here. 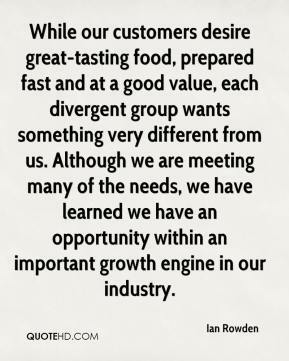 While our customers desire great-tasting food, prepared fast and at a good value, each divergent group wants something very different from us. Although we are meeting many of the needs, we have learned we have an opportunity within an important growth engine in our industry. 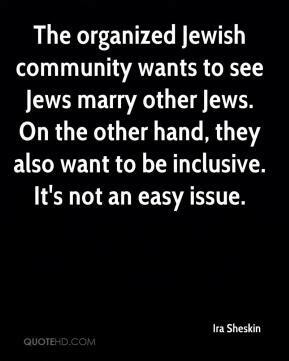 The organized Jewish community wants to see Jews marry other Jews. On the other hand, they also want to be inclusive. It's not an easy issue. 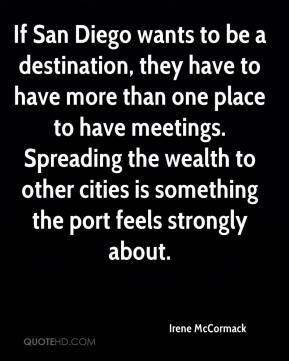 If San Diego wants to be a destination, they have to have more than one place to have meetings. 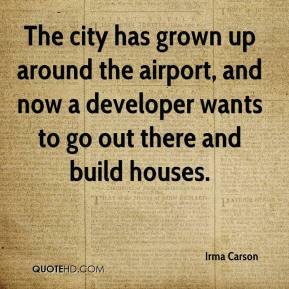 Spreading the wealth to other cities is something the port feels strongly about. 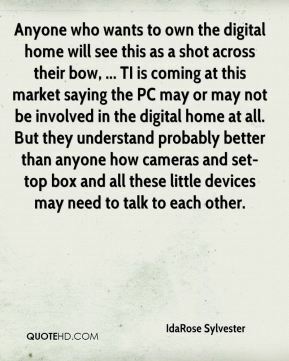 Anyone who wants to own the digital home will see this as a shot across their bow, ... TI is coming at this market saying the PC may or may not be involved in the digital home at all. But they understand probably better than anyone how cameras and set-top box and all these little devices may need to talk to each other.